The future is paperless and ARSLegal can help get you there today. ARS case management software solutions include client data repository, document management including EAMS, calendaring, tasks, and accounting. 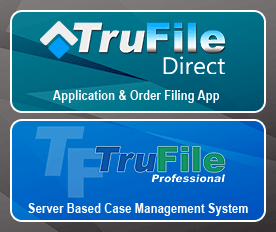 TruFile Professional supports both Civil and Workers Comp law firms. 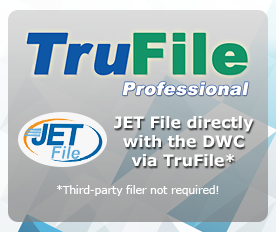 It can be installed in either a single or multiple user configuration. 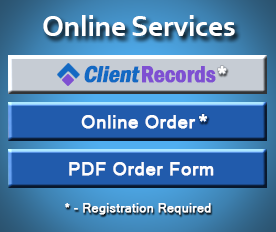 The ARS Online Order Form application can be accessed and submitted over the internet. Once logged in, this application will save your firms data and allow for quick order entry and give you access to your orders status. The ARS Order Form can also be downloaded and emailed, faxed, or mailed. Quickly perform the tedious calculations necessary in workers' compensation. These calculations are (usually) not terribly complicated, the work involved in calculating benefits over the life of a claim can become unwieldy. We have a number of programmers on staff who are experienced Microsoft® Dot Net Framework. All software is developed using Microsoft® Visual Studio with SQL Server for seamless Internet performance and operating system compliance. ARS Document Imaging Technologies can help your business make better decisions by converting and organizing documents that drive your business. ARSLegal, Inc. sends out periodic newsletters directed to keep you up-to-date on recent news and information. Our goal is to provide helpful information to assist in the various cases you handle every day. Here you will find a selection of articles from our information database. Sign up below to have these delivered directly to your inbox. We specialize in evaluating your workflow, and tailoring a technology solution that will help you increase your productivity and contain your costs. ARS provides Computer and Network Systems Support Agreements that will give you peace of mind. We will ensure your hardware and software will operate seamlessly, and increase the effectiveness and efficiency of your business. We are available with telephone, on-line, and on-site support when you need it. ARS offers attorneys and insurance companies with limited resources, an alternative to performing time-consuming discovery and subpoena tasks. We have the largest staff of field technicians providing efficient, timely copying of records - no matter the volume or type of document. With paralegals on staff and extensive knowledge of CCP and the Labor Code, ARS can assist you with full subpoena preparation, notice to parties, and service of process. ARS is qualified as a third party agent to serve all types of documents. ARS diligently persues personal injury cases to retrieve all records relevant to your case. If you are a personal injury attorney, ARS will locate and copy records for your firm and defer payment until the case is closed. ARS paralegal team can help make what can be a very complicated process simple for you. Our team possesses the knowledge and resources to access the documents you need within the limits of the law. Using the ARS Legal medical record review will save you and your doctors thousands of dollars of time and frustration finding the key points of the medical records! EAMS is a computer-based system designed to simplify and improve the Division of Workers' Compensation (DWC) case management process. The goals of EAMS are to better serve injured workers and employers by eliminating redundancy, creating efficiency in the system. EAMS will reduce environmental and physical stress associated with maintaining paper files and help guide policy decisions to better distribute resources. For more information regarding EAMS visit the Division of Workers' Compensation - Electronic Adjudication Management System (EAMS). Fillable EAMS Forms can be found here. Instructions for filling out EAMS Forms can be found here. The Judicial Council and the Administrative Office of the Courts forms presented in the Forms section of the California Courts web site. The Division of Worker's Compensation forms presented in the Forms section of the California Department of Workers' Compensation web site. It is the primary goal of ARSLegal to assist you in reducing the cost of doing business. Our success is based on helping our clients reduce their labor, mail, courier, photocopying, document storage costs; in short anything associated with the production and handling of documents. With over twenty five years of experience in discovery and document reproduction for over 650 law firms throughout California, ARSLegal has developed the depth of knowledge and expertise that will make you more efficient and successful.